Hey guys! 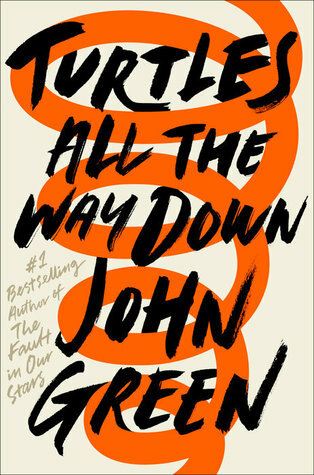 I preordered Turtles All the Way Down, John Green’s new book, a couple of months ago, and I actually got my copy a day early! It was, indeed, signed, and of course I immediately had to dig in. Since it only came out a few days ago, I thought I’d review it (wow, it’s been a while since I’ve done one of these) and just share my thoughts in general! Turtles All the Way Down is an incredible, down-to-earth story about a 16-year-old girl named Aza who deals with a difficult mental illness in the form of thought spirals. Oh, and on the side, she’s trying to maintain her friendships, possibly fall in love (without kissing), and track down a missing billionaire. It seems to me that the reason for John Green’s success in his books is the writing style. His story ideas are good enough, but the writing style is absolutely gorgeous and magnificent, and I am sucked in every time. Every. Single. Time. And that’s what makes his books winners. They feel real, so they are real, and he never shies from that. The main character, Aza, is so incredibly interesting. The way she describes her pain and her thought spirals, the fact that she explains that they are literally indescribable, is so perfect. I’ve never felt that particular crippling feeling, and there is something so incredibly heartwrenching and true about hearing such a raw description from someone who knows it so intimately. She was relatable, too. I could easily picture myself in her position, and I imagine there are people in her position (or close to it) in the world right now. Aza is probably my favorite character in this book, and I loved reading from her perspective. Her best friend, Daisy, was also very relatable, for very different reasons. At the beginning of the book, she was probably my favorite character. I loved her attitude, her demeanor, and her unfailing friendship with Aza. However, as more events came to pass and other things came to light, I wasn’t sure what to think. She instantly became a more complex character, which made her more realistic, but unfortunately also less likable. John Green never writes anyone to be perfect, and I definitely appreciate that. Also, she wrote fan fiction. For Star Wars. I was so impressed. The romance, although it was obviously prevalent, wasn’t the main point to the story. It was more about friendship and the “meaning of life”, so to speak, than just a romance that possibly might not even last past its teenage years. Alas, it was still quite cute, and it was super interesting to watch it progress, despite Aza’s mental blocks. As far as the mystery aspect to it, that was definitely subtle. It was present and relevant during the whole story, but not delved into very much. I was satisfied with how it wrapped up, and I thought it added an extra layer to the complexity of the story, which I really enjoyed. Not to mention the tuatara. 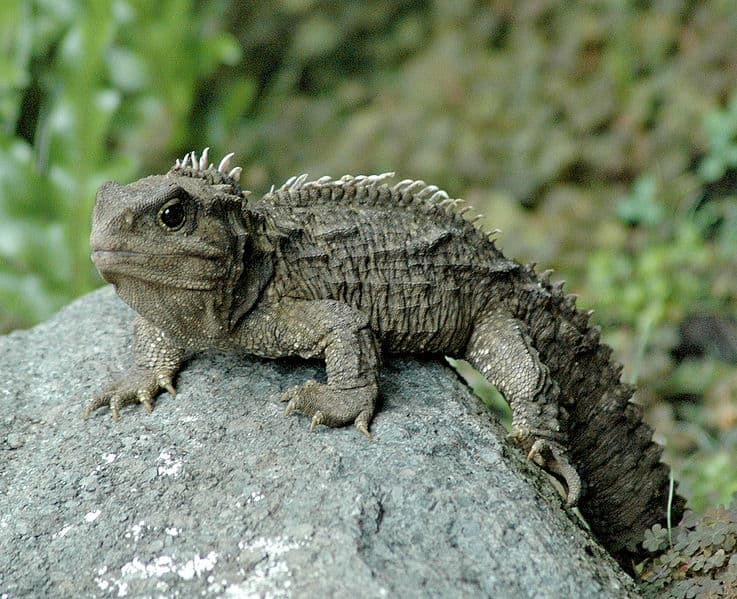 Oh my gosh, the tuatara. I can’t even with that thing. Here’s one for your viewing enjoyment. I have now read 4/5 of John Green’s main books (I’ve yet to get to An Abundance of Katherines), and I can easily say this is my favorite thus far. TFIOS was definitely amazing, but due to the incredible mental illness rep and clearly very well polished storyline, TATWD takes the cake. I can’t wait to hear more people’s thoughts on it, and hopefully this time it won’t be five years before John publishes a new one! 🙂 A solid five stars (or should I say, turtles- or tuataras?) from me, and much love for the beautiful fiction that is Aza! Do you plan to read Turtles All the Way Down? Have you managed to read it already? How do you expect it will compare to any of the other books you’ve read by him? Do you agree that his writing is the best feature of his books? Let me know in the comments, I’d love to hear from you! 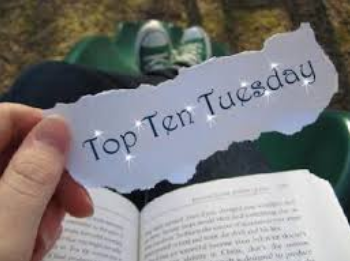 ‹ PreviousMy October TBR: Awesome or just plain terrifying?? Next ›Spookathon TBR: Frighteningly Awesome! I can’t wait to try this! Glad you enjoyed it! I read it,Yeah I am 100% agree his writing style is incredible, he puts spell on readers…Really enjoyed it. I’m so glad you loved this, Amy! John Green doesn’t really do it for me, to be honest. I’ve read Looking for Alaska and An Abundance of Katherines and thought they weren’t my thing at all. Thanks! Hm, I can understand. If An Abundance of Katherines is the same quality of Looking for Alaska, I could definitely see that. It’s cheesy, but TFIOS is definitely my favorite after TATWD. This is true! Obviously it’s not for everyone. 🙂 Thanks! There was a part of me that was scared to read this novel, just because it’s the first one to be published after TFIOS and it’s been a while. But honestly, his writing style didn’t disappoint in the least. And how amazing that everyone who reads it (which will probably be millions) will now know what a tuatara is! I’m glad! I had a fantastic time reading it. Absolutely, thank you so much! Have you read it/plan to read it in the future? Ooh, thanks for the inspiration Amy – definitely one for the list! Of course, I’m so glad I could recommend it!